On a recent school visit, a Media Specialist asked how I thought the Common Core State Standards have affected children’s authors. Mmmmm … interesting question. As most everyone knows, the Common Core State Standards emphasize the importance of students reading nonfiction books (called “informational text,” which includes biographies and autobiographies, as well as titles about math, science, social studies, history, and the arts.) For example, the CCSS guidelines recommend fourth graders read half nonfiction and half fiction texts. 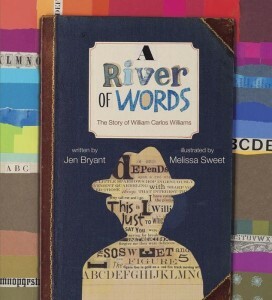 So what does this mean to picture book writers? Actually, I don’t think the new standards and their emphasis on nonfiction has had a major affect on picture book authors. Through the years many of my writing instructors and editors have shared that they find the most successful stories are from authors who write about topics of great personal interest. In my writing experiences, and from observing my critique group friends, this rings true. Crafting a focused, engaging picture book with its limited word count is challenging. But this task can be even more difficult when authors try to write about the latest topics or trends (eh hem, nonfiction,) rather than what they want to write about. So even though educational standards have recently placed attention on nonfiction, I think creative, imaginative fiction children’s writers will probably continue pursuing their passion for fiction. Likewise, I believe authors who adore nonfiction (and digging into research) will continue writing about nonfiction topics that inspire them, rather than trying to find topics which specifically address the Common Core State Standards or the recently created Next Generation Science Standards. A nonfiction author usually choose a particular subject because it inspires him or her. But for many authors I know, their writing and research goes well beyond inspiration. They are obsessed, and I have to admit I’ve experienced the same thing. After stumbling across a little-known historical fact, an incredible life story, or an unbelievable event, I find I can’t to stop thinking about it. Then before I know it I’m knee-deep in research, scribbling a story outline on a napkin during dinner. Now back to those standards … once a nonfiction (or fiction) author finishes a story he or she feels inspired to write, I think it’s helpful at that point to think about how their story could address the Common Core State Standards and/or Next Generation Science Standards. Both standards provide unique opportunities for authors to create ways to help teachers use their books more effectively in classrooms. 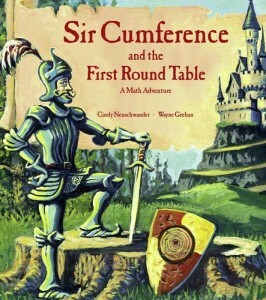 So in celebration of nonfiction writers and lovers, this week I’ve shared some of my favorite nonfiction (math, science, and biography) picture books. 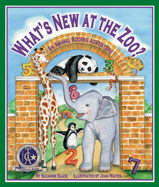 common core state standards, next generation science standards, nonfiction picture books, Suzanne Slade. Bookmark. Great post, and wonderful books–including one of my all-time favorites, Me . . . Jane. I also love Maira Kalman’s Fireboat (actually, I love pretty much anything by Maira Kalman). Lauren Stringer’s When Stravinsky Met Nijinsky is a beauty, too. Oooo, I’ll have to check Lauren’s book out! Thanks for the suggestion. 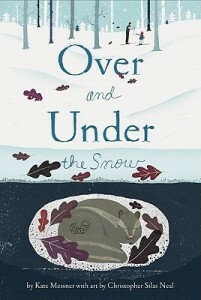 Thank you, Suzanne, for this excellent post and for sharing so many great books. Here’s another: The Kite That Bridged Two Nations by Alexis O’Neill – it’s the fascinating story of Homan Walsh, a young kite flyer whose skill and determination led to the construction of the first bridge over the Niagara River. Ms. O’Neill certainly tapped into her love of New York State history to create this gem! 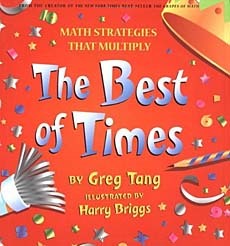 Love that book! Thanks for mentioning it. 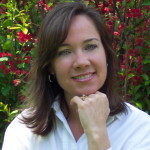 HUGE nonfiction fan here, Suzanne–I love it all: biographies, nature/science, history–you name it! I LOVE Me, Jane–it’s so simple and elegant and moving; and pretty much anything and everything by the dream team of Bryant & Sweet (The Right Word; Horace Pippin). For nature nonfiction in general, I pretty much love everything by April Pulley Sayre and Nicola Davies. Wow! What a great list. Thanks for sharing! 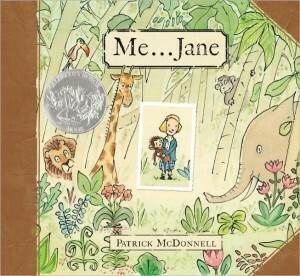 Love ME JANE, and I heard Jane Goodall speak for the first time last week! 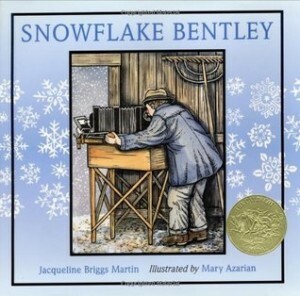 SNOWFLAKE BENTLEY is also and old favorite. I could go on and on. I have seen a lot of new PB writers focusing in non-fiction and I guess time will tell what they produce. Thanks for sharing your great list Joanna. That’s interesting about your observations of new pb writers. I don’t pay attention to the CC even though I write a lot of NF. Lots of favorites already mentioned! I’ll add a couple more: The Man who Walked Between the Towers by Mordecai Gerstein. The Invisible ABCs by Rodney P. Anderson (this is for microbe lovers — it is gorgeous). I tend to gravitate towards beautiful photographic books like the ones by Nic Bishop and the biographies. you’ve given me another one I need to check out – The Invisible ABCs! Narrative NF: Unlikely Friendships for Kids series, Workman, is a lovely look at interspecies friendships in chapter format. Short and sweet.